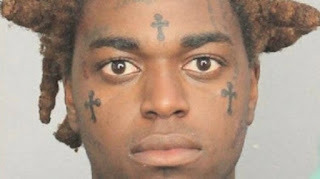 Kodak Black was arrested on Thursday (January 18) after police raided his house during an Instagram Live stream. The Florida rapper was booked on seven charges, including child neglect, marijuana possession, and probation violation. Kodak Black is back behind bars. Broward Sheriff deputies arrested the 20-year-old rapper Thursday night after law enforcement apparently raided his Florida home.